What's The Poster Car Of Your Youth? Between the poster of the athlete of your era (MJ, Kobe, Aikman) and the model of your era (Fawcett, Ireland, Brinkley) is the poster of the dream car of your era. What's the poster car of your youth? 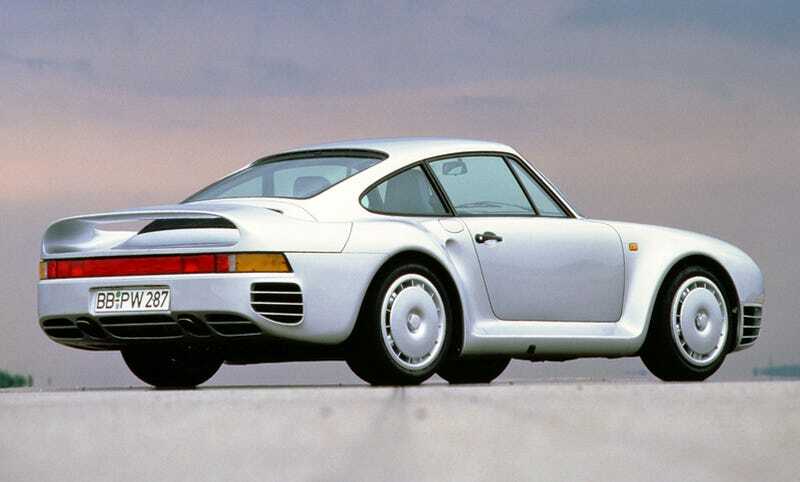 Growing up, next to the poster of Hakeem Olajuwon, was a shot of the Porsche 959. It was the only framed picture we had that didn't also feature a relative or us in an embarrassing costume. It was the early 1990s and even though the car was no longer in production it still adorned the walls once formerly covered with images of a red Lamborghini Countach. How could a silver car be so evocative? Despite the classic Porsche look it somehow looked exactly like the future. A future we wanted to be a part of.